This year The Campaign for Wool is collaborating with innocent, and inviting all our supporters and knitting communities to participate in helping us raise the awareness of wool as a natural, biodegradable and renewable fibre. Since 2003, innocent has been working with Age UK on the Big Knit, a campaign designed to raise money and help keep older people warm and well in the winter. 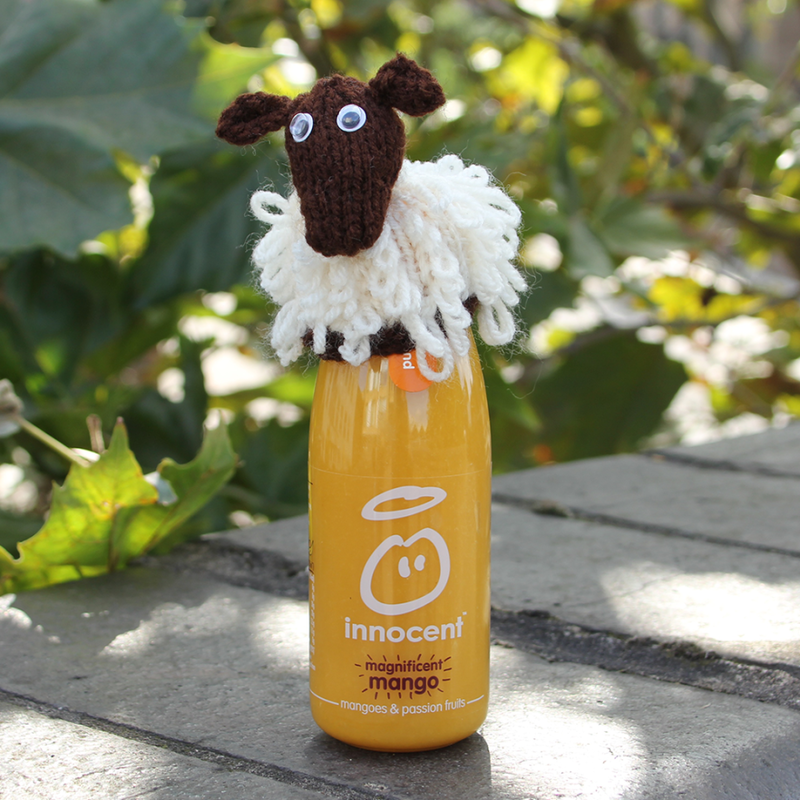 For every behatted smoothie sold, innocent make a donation to Age UK, and this year they are hoping to make it the biggest Big Knit ever, with a target of 2 million little hats. The deadline is 31st of July so get knitting! innocent are an obvious partner using healthy, natural, sustainable ingredients for their drinks, and striving to take responsibility for the impact of their business on society and the environment. 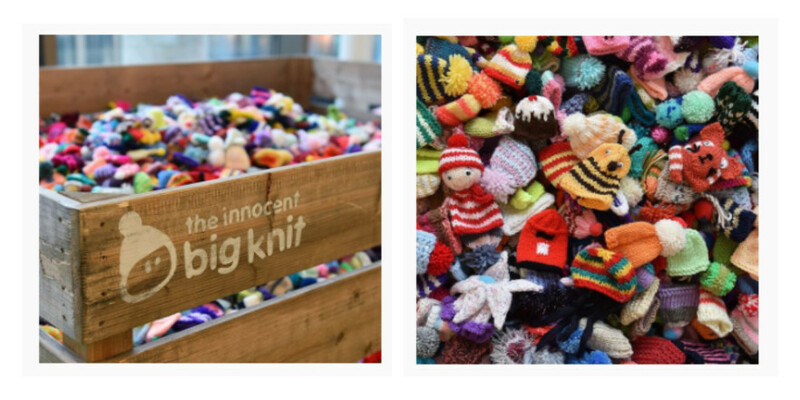 The Campaign for Wool are excited to be joining forces with innocent over the year to promote both the benefits of wool and the wonderful work of the Big Knit campaign. Go to www.thebigknit.co.uk for more information on the campaign, the Innocent network and downloadable patterns, and where to send the little knitted hats. You can also create your own design specifically for The Campaign for Wool, and we look forward to seeing your creations. Sheep pattern can be found here, easier patterns found from here.